The objective of the Air Filtration Working Group is to allow the users to have a single point of reference for state-of-the-art filtration technology and to address air filtration issues through projects of common interest. ETN represents the WG members in the ISO Technical Committee 142 – “Cleaning equipment for air and other gases”, and is actively involved in the drafting of the ISO 29461 – “Air intake filter systems for rotary machinery – Test methods”. Currently the ETN WG is focusing on the harmonisation of different testing procedures for static filter systems in marine and offshore environment. 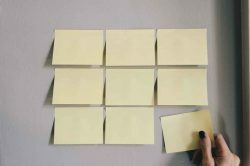 22/01/19 | Air Filtration Working Group meetingETN's Air Filtration Working Group will meet on 22-23 January 2019 in Brussels.... Read more. 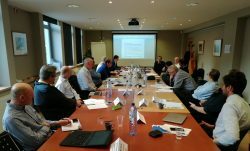 25/09/18 | Air Filtration WG Meeting – Sep 2018ETN's Air Filtration WG meeting will be held on 25-26 September 2018 in Brussels, Belgium. Attendees of this meeting will discuss the latest revision of the ETN Water/Salt test procedure related to the standard ISO 29461 – Part 5.... Read more.